June 1 was already an eventful day already as you can tell with the plane pull in the morning and lunch with friends in the afternoon. 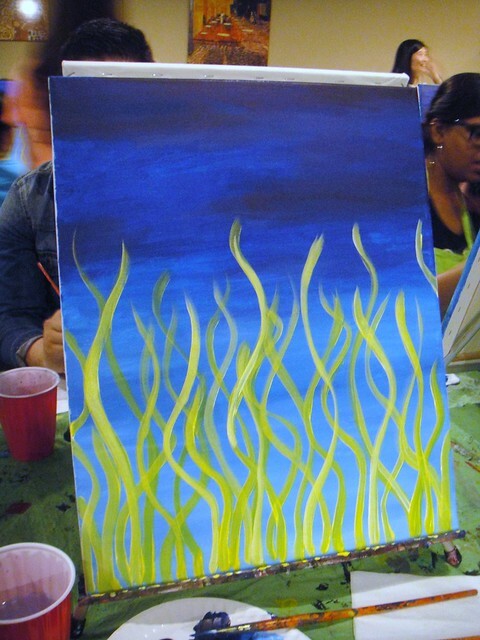 Sarah and I had bought a Groupon to go to Paint Nite. I’d never been there before but have seen friends post about it here and there on facebook. It was such a good deal! For around 20 dollars, we got a relaxing session of painting at a pub downtown. You could order a drink of your choice as you painted the night away. 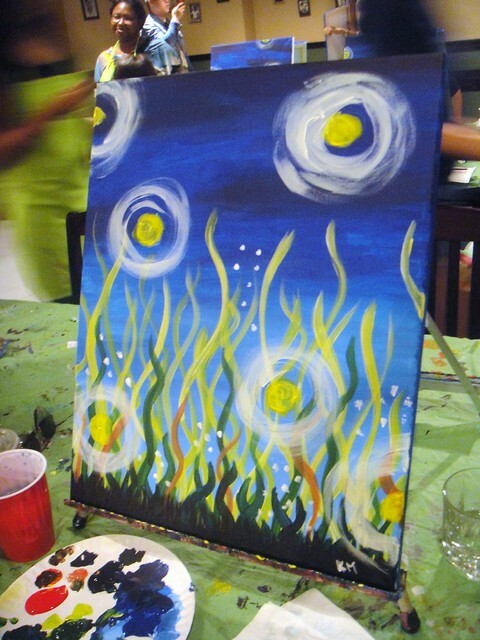 However, Paint Nite is not that same as places like Paint Lounge where you go in and paint whatever you want. 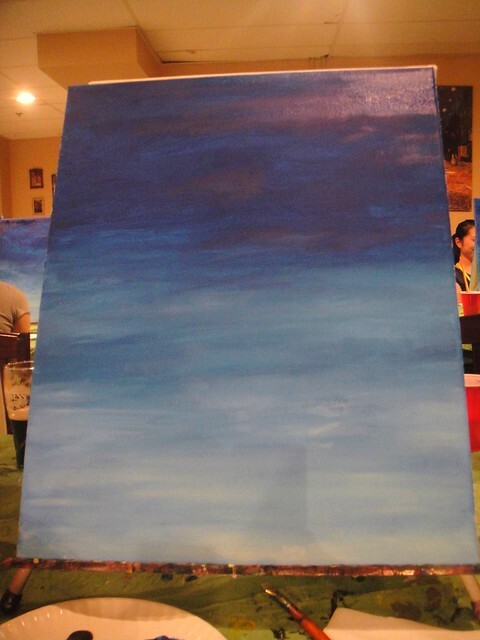 Paint Nite actually has a set painting that everyone learns how to paint for the entire night. You can choose the specific painting you want to emulate ahead of time from their website. Also, they choose specific bars and restaurants to host the painting which makes the evening relaxed and fun. Their tagline is “Paint Nite. Drink Creatively”. For this night, we were at the Pogue Mahone Irish Pub that is located in downtown Toronto. 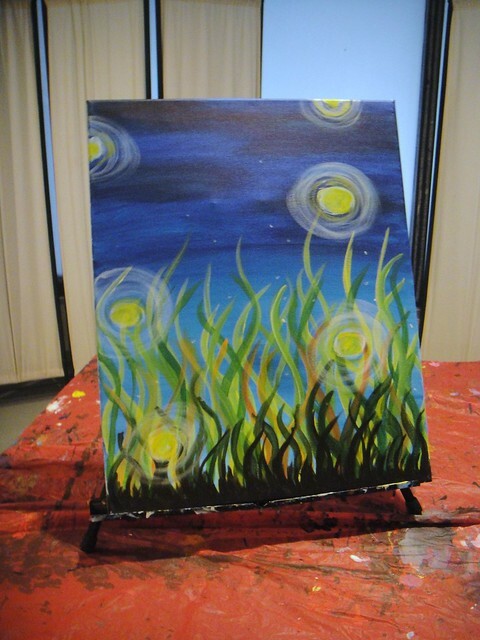 Sarah and I both agreed on the painting with the starry night sky with fireflies dancing in the grass. It was such a relaxing night of painting and quiet. We were arranged in rows and people were quietly exchanging comments here and there but it was a really solitary and peaceful activity. 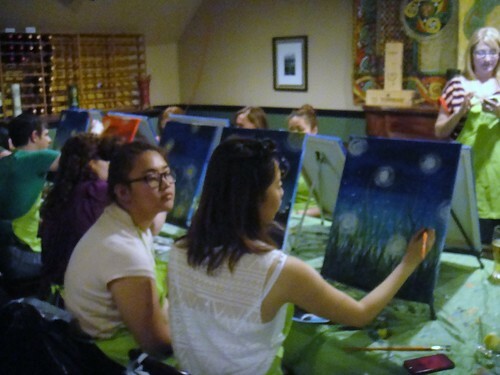 This entry was posted in Learning, New Experiences and tagged @PaintNiteTO, bars, canvas, drinks, friends, fun, learning, night out, Paint Nite, paints, relaxing, restaurants, Toronto. Bookmark the permalink. 11 Responses to My First Paint Nite! Ooooo – that came out absolutely ace – well done!